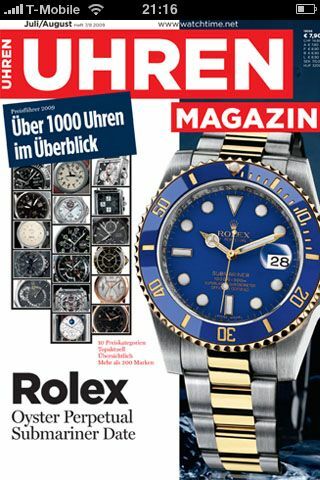 I bought a few German watch magazines in M?É¬ºnchen last week, and in the latest Uhren Magazin there was a full-size page ad about their Uhren Katalog for Apple’s iPhone. 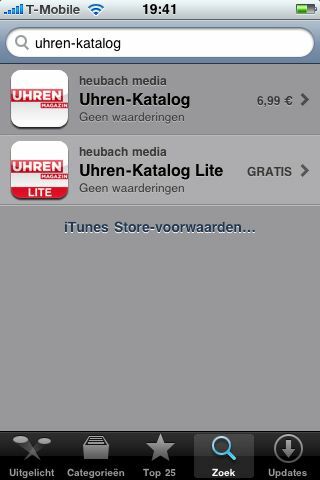 Once I got home (I switched off the data mode since it is very expensive to use in foreign countries), I immediately checked out the Uhren Katalog application in the AppStore. You can either browse through the catalogue on brands (Hersteller), on price (Preis, duh) or you can search for a brand (Suchen). 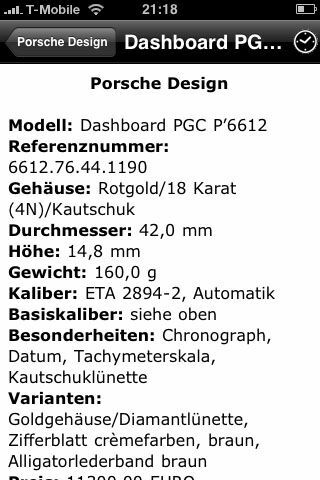 See below for a small part of Audemars Piguet’s watches in the Uhren Katalog. 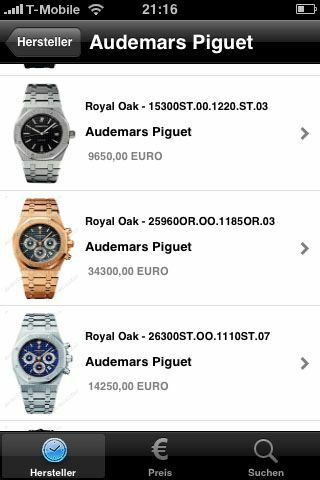 The application offers more watches from AP ofcourse, but not the full catalogue of AP. However, the annual catalogues on paper also only have a selection of watches per brand. 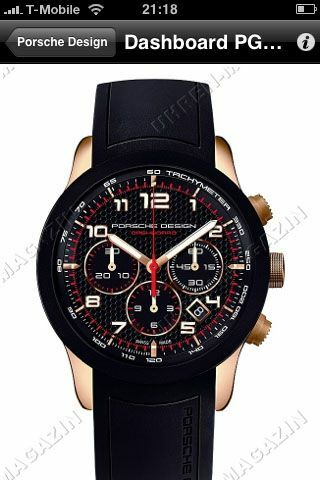 When you select a watch (just tap one), you will get to see a picture of that particular watch, as shown below in the screendump I made after selecting a Porsche Design model. If you tab the “i” on the screen, you will see the specifications/data of the selected wrist watch (see below). Among the huge number of (mostly useless) iPhone applications I have, this one really rocks. The Uhren Katalog app contains over 1000 watches. It is well worth the 6.99 Euro and I suggest you started downloading it immediately after reading this. IF you have an iPhone that is.